Caption slip reads: "Photographer: Mitchell. Date: 1955-07-12. Reporter: Coughlin. Assignment: Roller Skates to see friend. 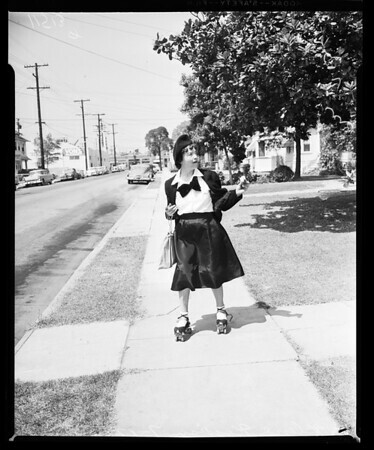 73/74/59: Helene Kossian, Lunch & Roller skates. 60: L to R - Helene Kossian & friend C.L. Hill."